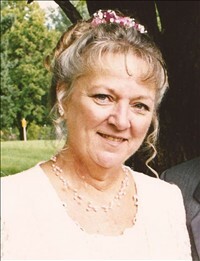 Karen Ann Lay 64 of Rupert passed away Sunday, January 1, 2012 at her home in the arms of her husband. Born December 21, 1947 in Binghamton, New York to Mr. and Mrs.Richard Lewis Sr. and Pauline Julia Lester. Her family later moved to San Bernardino, CA. where she was raised. Then in the early 70's she moved to Idaho with her then husband Charles Brewer later marrying Dennis Lay. It was in Idaho where she raised her family and has resided for over 40 years. In the midst of raising her family she managed to own her own business The Sage Brush Landmark restaurant in Hazelton along with her husband and over the years worked along the side of many other at Ore-Ida and as a Beautician. Karen's life was filled with the love and support from her soul mate Dennis to the very end. Her delight and joy along the way from her wonderful children and large family. Karen was very well loved by many and will be missed. Brother Richard Lewis Lester Jr. and Sisters Terry (Bob) Girten and Teana (Bill) Fletcher. She was preceded in death by her parents. Viewing for family and friends will be held from 6-8:00 p.m. Tuesday, January 3, 2012 at the Hansen Mortuary Rupert Chapel. A private family funeral services will be held under the direction of Hansen Mortuary Rupert Chapel.